The legendary Cannes Film Festival occurred recently, and all of the pages of our favourite magazines were filled with pictures of film stars and celebrities, looking fabulous in the French sun. No only was the fashion on point, whether on the red carpet or lounging on one of the many fabulous yachts. Not only was the fashion stunning but there was plenty of Cannes jewelry that gave some serious envy. There was some truly beautiful jewels on show at Cannes, which really is no surprise, as if you are going to get photographed wherever you go, you may as well sparkle. 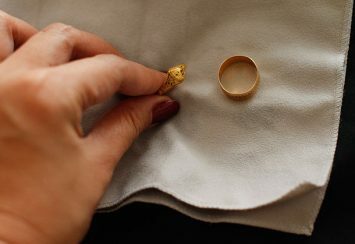 The quality of the jewelry was sublime – from the simple yet effective, to the over-the-top glamour. Actress Kirsten Dunst looked absolutely stunning at the closing ceremony of the Cannes Film Festival in an ethereal by Valentino Couture, in a wonderful blush shade that really complemented her peaches and cream complexion. With such an ornate gown she very cleverly kept her accessories simple with a gorgeous pair of drop diamond earrings from Chopard. The beautiful Alice Isaaz looked so lovely on the Elle red carpet at Cannes, wonderfully polished and chic. Her Chaumet’s Hortensia earrings were the an ideal finishing touch to her whole ensemble. Simple stud earrings with a twist, always look eye catching. Alessandra Ambrosio is one of the world’s most beautiful women and she certainly lived up to that in an extreme plunging gown by Redemption. The deep V of the dress really helped to show off the amazing white gold and diamond and saphire necklace from Pampille de Diamants, which she matched to a diamond and sapphire cuff by Boucheron. Valeria Golino also used a deep V neckline to show off some serious sparkle with a High Jewellery Giardini Italiani necklace by Bulgari. That is how you do show stopping jewelry on the red carpet…necklaces that draw the eye and sparkle when the camera flashes hit. Charlize Theron showed off some super sharp tailoring on the red carpet for ‘The Last Face’. That crisp tailoring along with a smoky eye and sleek hair, was such a powerful look that is so on trend and so, so chic. She topped off her look with an amazing diamond collar necklace and simple stud earrings from Cartier. Elle Fanning wore an absolutely stunning gown by Zuhair Murad Haute Couture on the red carpet for ‘The Neon Demon’. The gown was a pure fairytale so only magical jewels would do, and her Tiffany & Co. necklace and rings, certainly matched that criteria. Salma Hayek was another celebrity that embraced the collar necklace trend, with a stunning open diamond necklace by Boucheron. The diamonds spread out like a firework, drawing just the right attention to her decolletage. By wearing her hair up, with just a few loose tendrils, the necklace really was the focus of her whole look, as diamonds should be…credit to the stunning summer berry lipstick too. Reality star and model Kendall Jenner always looks fabulous on the red carpet, and Cannes was no exception. Her hgh necked Gothic inspired gown, looked great with her smoky eye and slicked back hair. She added even more drama to her red carpet look with some out-of this world white and yellow diamond chandelier earrings from Chopard. So there you have it, some of the stunning jewelry that was on show in Cannes. If you are looking for further celebrity jewelry inspiration, check out the Jewelry Jealousy article on some of the other red carpet jewelry that has dazzled so far in 2016. If you have been inspired by all that lovely sparkle and have a special event coming up, why not emulate your favourite celebrity and invest in some quality custom jewelry – such as a crystal collar or bib necklace, or perhaps some semi precious chandelier earrings. 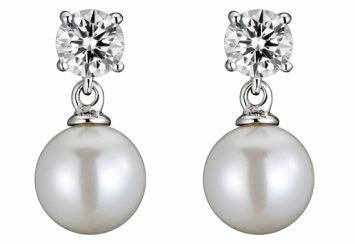 Or if your budget will stretch to it, some good quality diamond or pearl stud earrings – they will be forever on trend and timeless, meaning that you have invested in permanent chic.